I love the Oklahoma sky, as in this image from earlier this month. Abby’s truck got caked with mud on the short but wild road on Aunt Judy’s farm in Duncan. It’s fall on the Patch, and the weather goes between stormy and sunny, cooling off day by day. 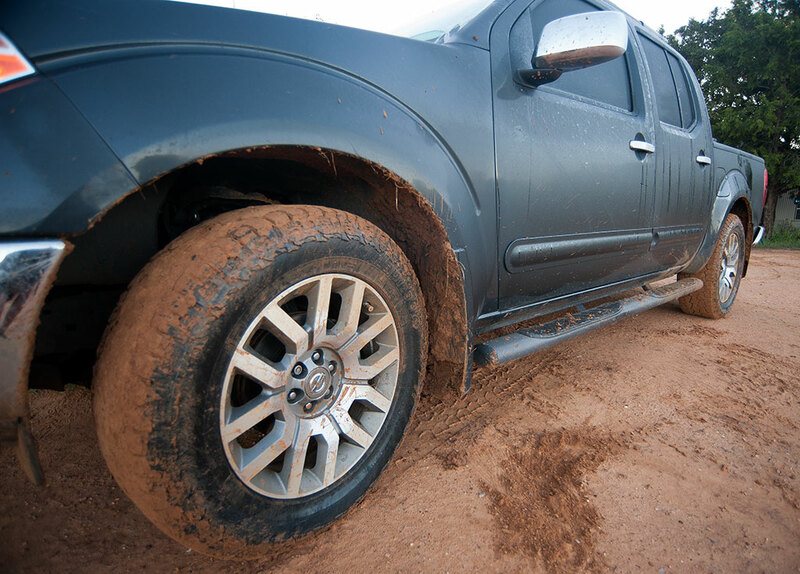 I plastered Abby’s truck with mud at the family reunion two weeks ago, on the improvised road between Aunt Judy’s and her son Donald’s place. 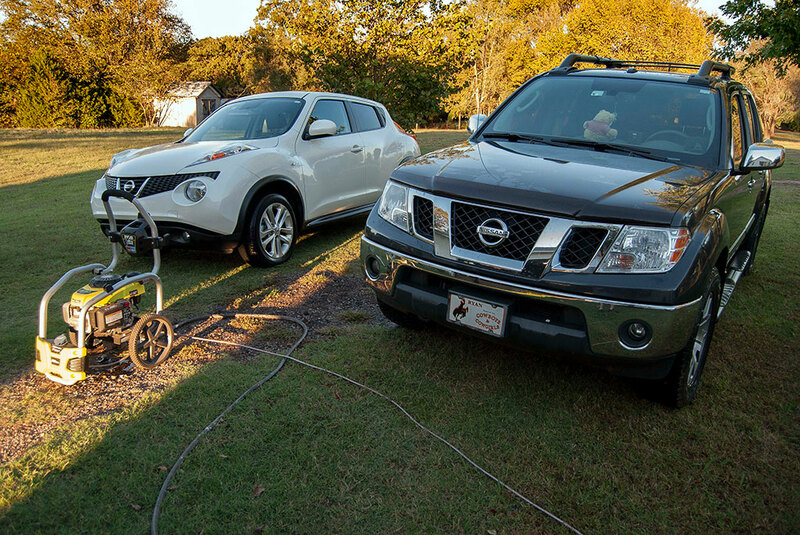 I personally think four-wheel-drive trucks are happiest covered in mud, but Abby wanted it clean again, so I fired up the power washer Tuesday and got both our cars clean. I washed our vehicles Tuesday. Readers know that I love to do this, and it makes our rides look and feel like new. 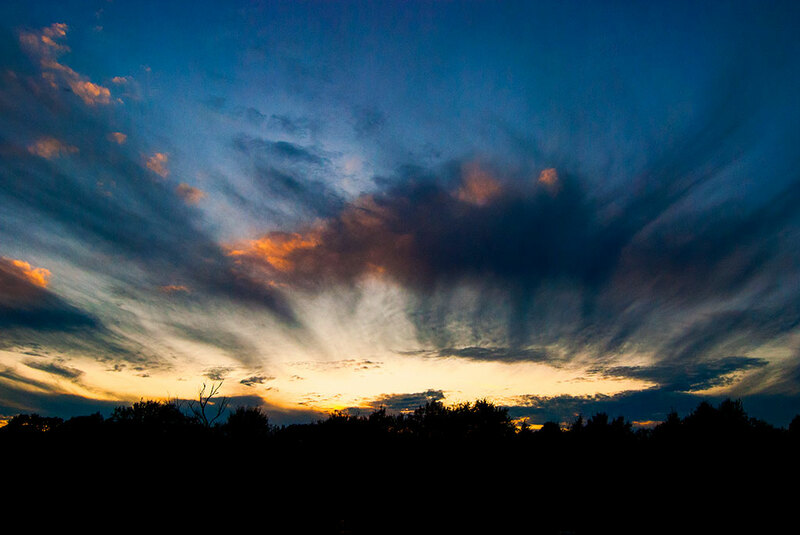 The last few evenings have included amazing skies I photographed while walking Hawken the Irish Wolfhound. Tonight while walking Hawken, I came across the Nipps, Mike and Joyce, the next door neighbors who bought Abby’s first mother-in-law Dorothy’s house, and their granddaughters Hope and Harmoni. I confuse their names because the next next-door-neighbors dogs’ are named are Hope and Harley. The girls were super-excited to play with Hawken, who is getting more comfortable with people. Hope and Harmoni roast a stick by the fire. 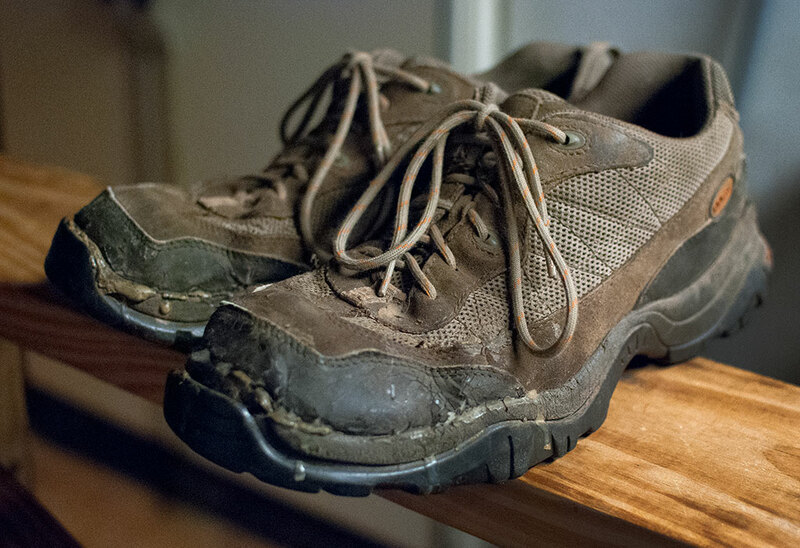 Goodbye LL Bean hiking shoes. I had great times wearing you. 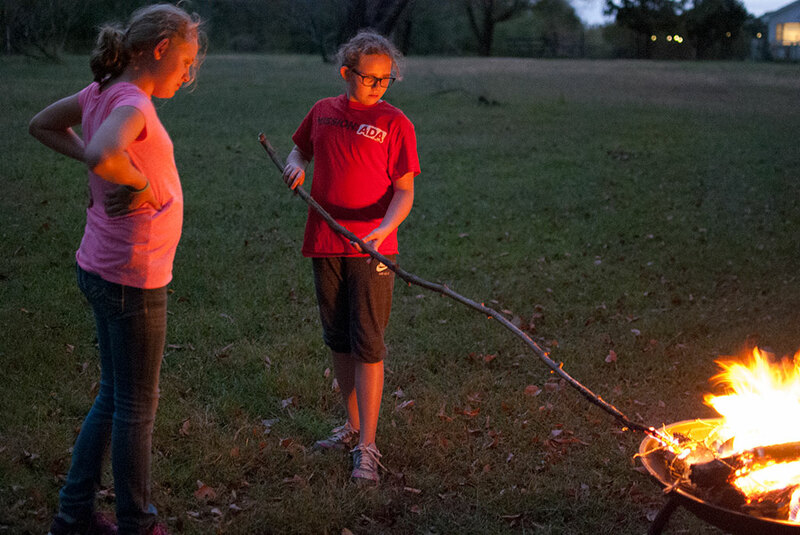 As darkness arrived, the Nipps built a fire and girls roasted sticks. It was a nice time. Finally, the LL Bean hiking shoes I’ve had since 2005, which I’ve been holding together with glue all summer, were finally completely used up, and I sadly threw them away. 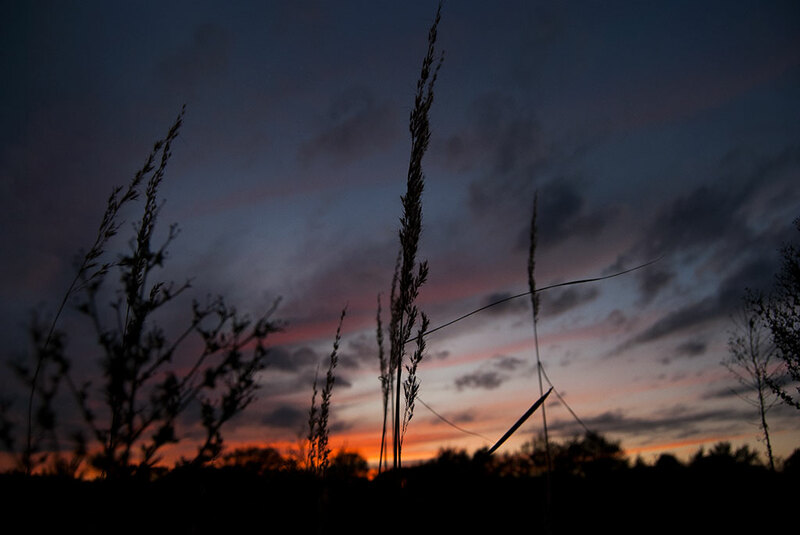 Wheat grass in our pasture is silhouetted against the sky tonight. I’m truly sorry to hear about your shoes. Sounds very “fall” and relaxing. The shoes added a melancholy note. Couldn’t you have saved a sole? !